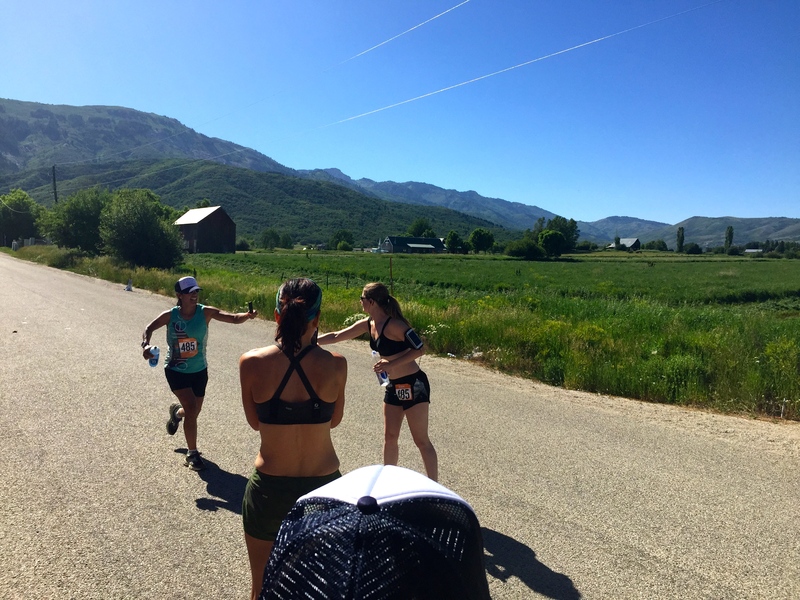 How on earth to recap something as epic as Ragnar Wasatch Back?? 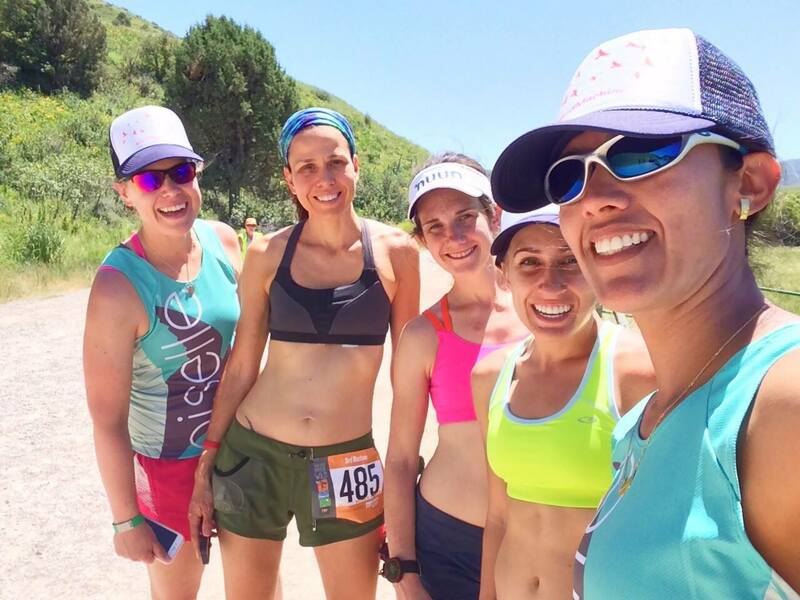 Several months ago my Oiselle teammate Paulette had asked if I’d be interested in joining her team. 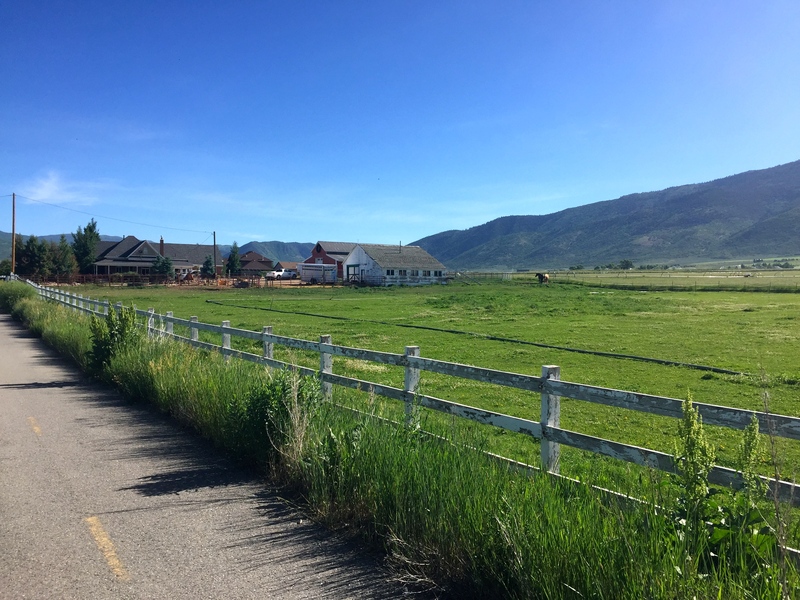 After having travelled through Utah a bit in the last couple of years I anticipated the scenery would be amazing and that the course would be a challenge. With no full Ironman on the calendar this year I leapt at the opportunity. I flew into Salt Lake City early on Thursday. We picked up two minivans for our adventure and headed off to Target for provisions (sunscreen, peanut butter, snacks and toilet paper amongst other things). 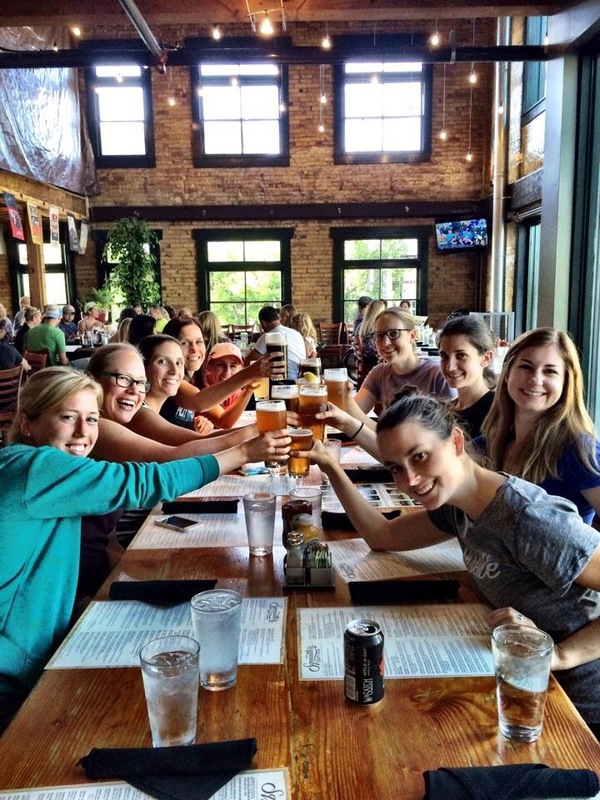 In the evening team Bird Machine went for dinner at Squatters, a brew pub in downtown SLC. It was great to hang out with everyone, especially since we wouldn’t have much of an opportunity to socialize outside of our own van while we were running. I was runner 1 and we were scheduled to start at 10:00 am at Utah State University. We needed to get to the start an hour in advance of our start to make sure we had enough time to check in, watch the safety orientation video, etc. Of course coffee for the 90 minute drive to Logan was a must! …and then all of a sudden it was time for me to run! 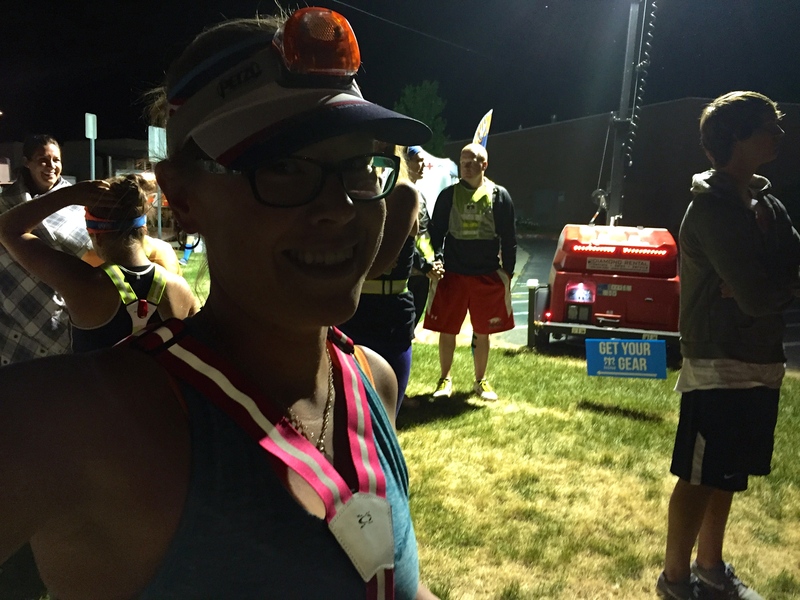 My first leg was my longest and hardest of the three…plus it was very hot out! My plan was to run this leg as smart as possible. I’d walk the steep uphills and otherwise try to keep a steady effort. After we ran out of the university we ran through a neighbourhood, then were out on to some trails. And so began the up and up! 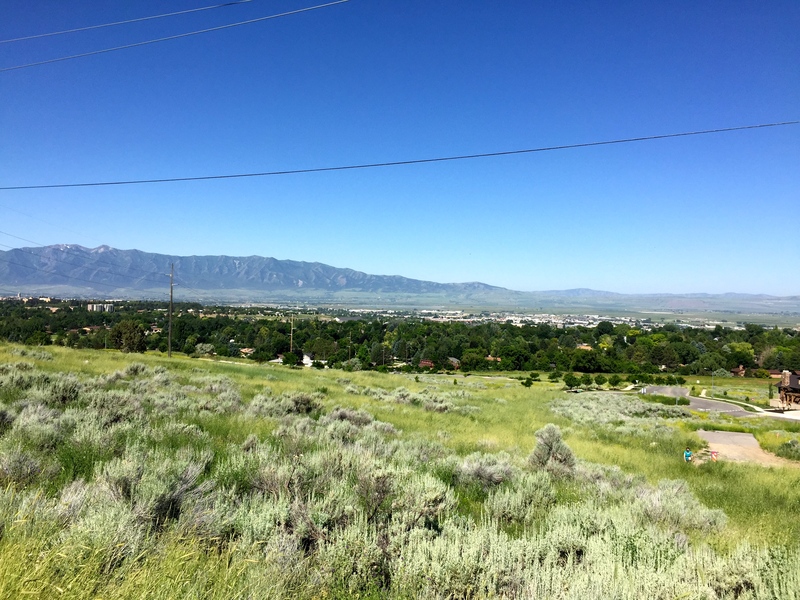 The views of Logan were so pretty! …and then through a cute little town towards the exchange. One mile to go! 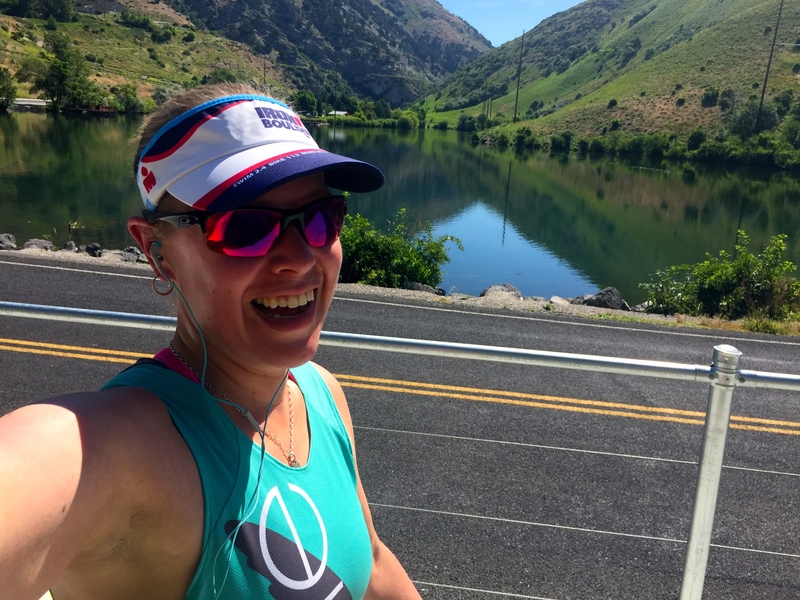 I had focused on passing a few people near the end of my run and I was in a world of hurt. Hello new maximum heart rate!! 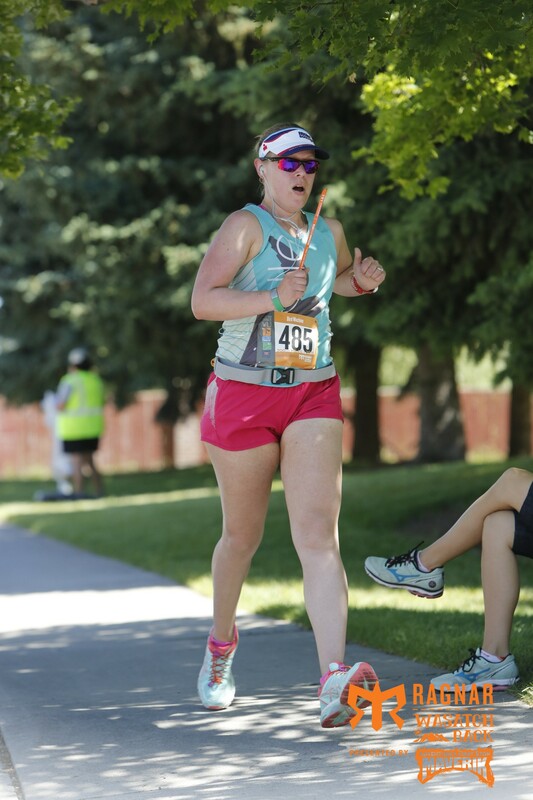 I didn’t even realize there was a photographer there to capture my run into the exchange. After my leg was done I focused on getting fluids back in, eating some snacks and supporting my teammates as they all ran their first legs. 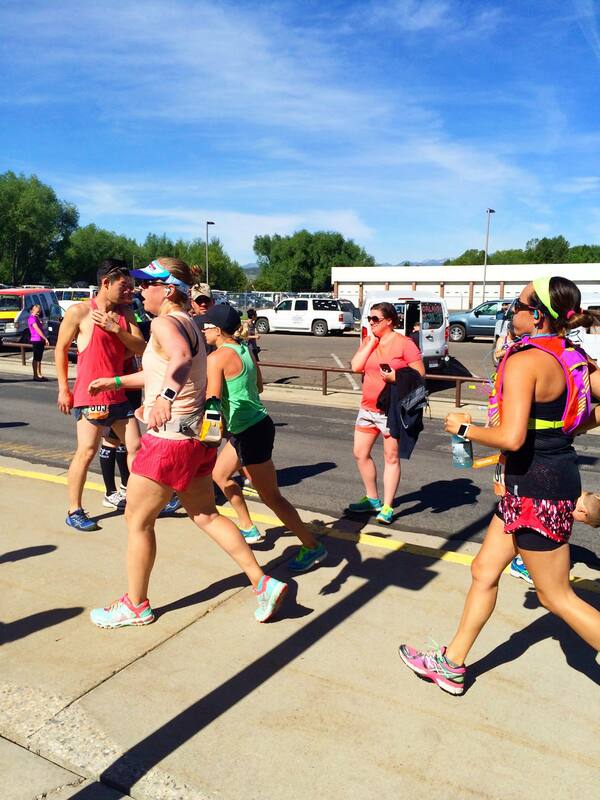 Between the heat and elevation we were all running much slower than we anticipated. We were able to keep in good contact with van 2 to let them know how we were doing though! We had a few minutes at major exchange 6 where we were able to say hi to them and wish them luck as we tagged off to them. 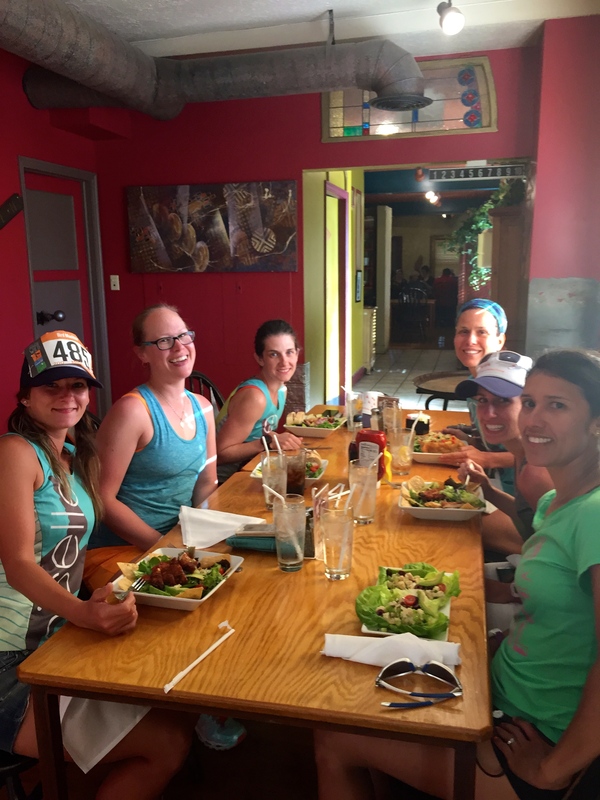 With van 2 on the road our first order of business was to get some real food! We weren’t too far from Ogden so that seemed like a good spot to go and grab dinner. 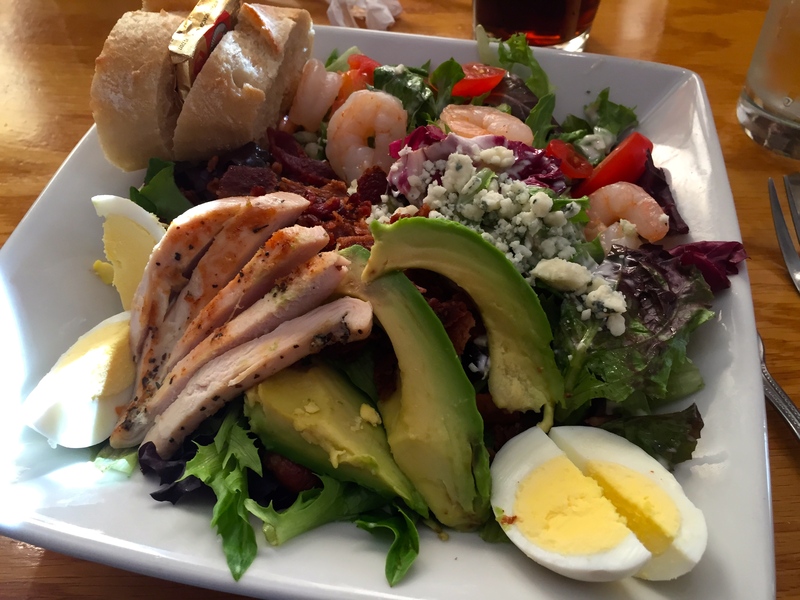 We popped into Roosters Brewing Company and their Chopped Cobb Salad hit the spot. After grabbing more water and filling up the tank on our minivan we were on the road to major exchange 12 in Morgan. We all took the time to relax on the grass outside the high school. I attempted sleep but it just wasn’t possible. It also cooled off quite a bit once the sun went down so I was grateful I had brought some warm sweats to change into. 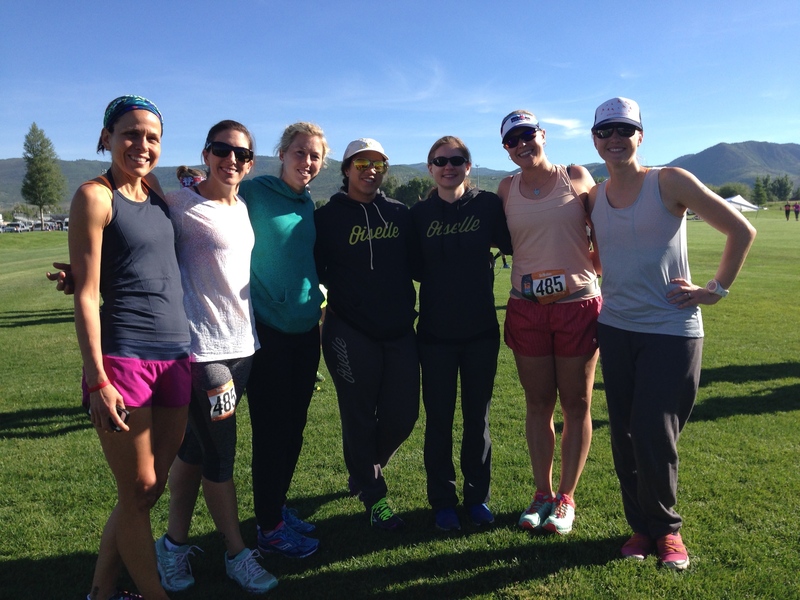 Oiselle sweatpants and hoodies for the win! Just before midnight on Friday night Kate, our twelfth runner came zooming into the exchange and it was my turn to run. Even though it felt cold while I had been laying outside it was still pretty warm running weather. I was glad I had stuck with shorts and a tank otherwise I would have been overheating! There were no huge hills on this leg, it was one very steady uphill run. I enjoyed the peace and quiet of running through the night, but I was sad I wasn’t able to really see where I was running through. After my run was done I tried to sleep in the van as much as possible. I wanted to be as alert as possible so that I could drive our van to major exchange 24 as soon as we were all done running. I’m not a night owl at all so I was probably the most nervous about driving in the wee hours of the morning. Unfortunately exchange 24 didn’t have a ton of amenities. They only had outdoor sleeping and porta potties. I think we were all a little over sleeping outdoors and I had been hoping for a shower and coffee. We could have gone to exchange 25 for that but that seemed like too much of a hassle. There was also no cell phone service here so I was nervous about making my exchange! Luckily it all worked out and I even got a bit of a nap in the car. Again…it was hot out and this run was all about the long gradual climb to the end. The elevation was also much higher here than what I am used to! I figured I’d take things slow and steady with my usual 9:1 walk breaks but anytime I’d see someone up ahead I’d give a little extra effort to pass them. I did pass one girl who looked like she was really suffering from the heat so we chatted for a bit and I gave her some of my Skratch to drink. 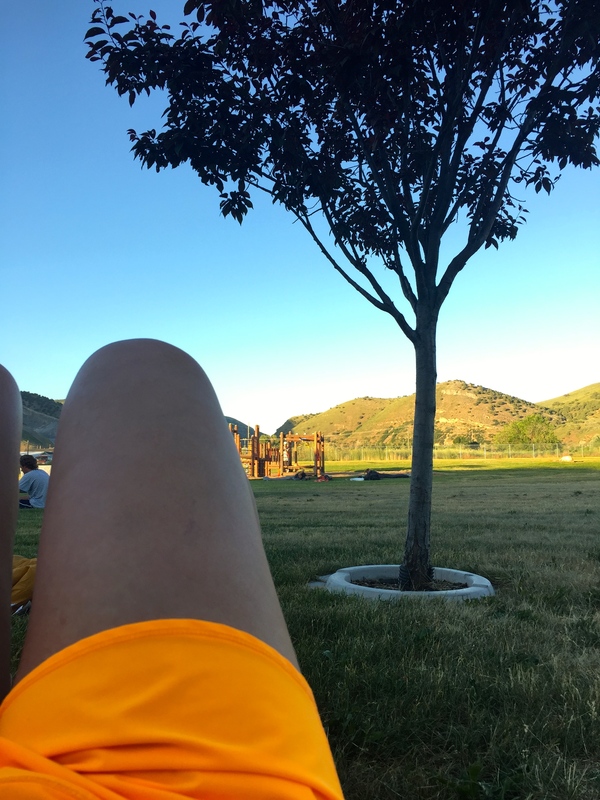 It was so beautiful out and I felt really grateful to be able to run this. Last mile to go! I wound up in an epic sprint to the finish with another girl. Holy cow that hurt! 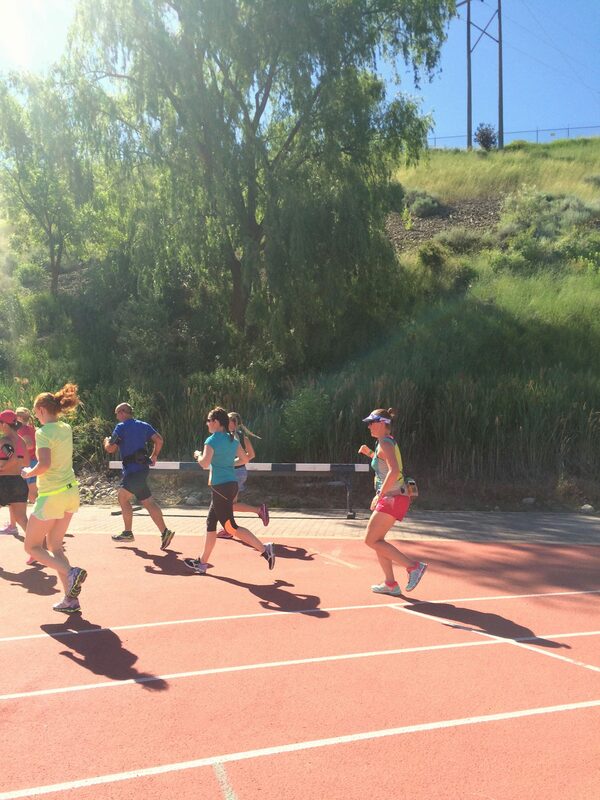 Everyone rocked some really hard legs in some wicked heat. I think we were all a little happy to be done when van 1 reached our last major exchange in Park City! 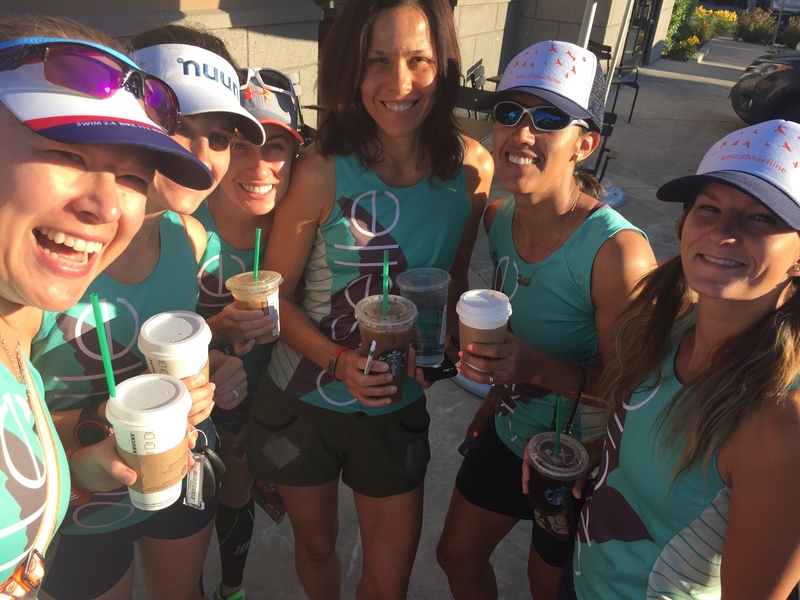 As van 2 took off on their final set of legs we set off in search of beverages, pizza and our accomodations. 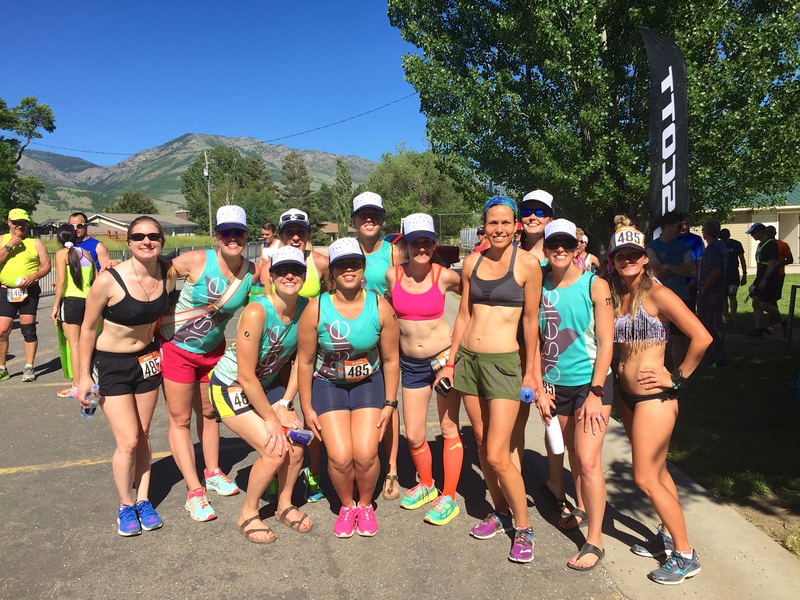 We had booked a condo in Park City for Saturday night and luckily we were able to head there for a shower and a bit of a nap before we needed to be at the finish. I think the condo was the best idea ever! 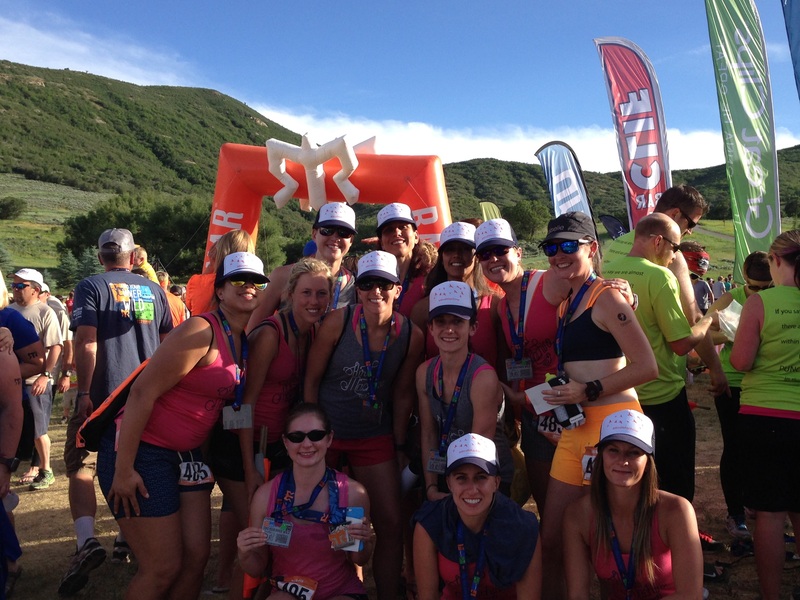 We wound up finishing in 32:52:25.2, placing 7th out of 47 female teams and 3rd out of 35 in the Womens Open division. We weren’t out there to be competitive, we wanted to have fun. To finish 3rd on such a hard course is unbelievable. Ragnar was such an amazing experience. There is minimal sleep and you are pushing your body and mind beyond what you think you might be capable of…but you do it! I had never met the ladies in my van before and everyone was so wonderful. 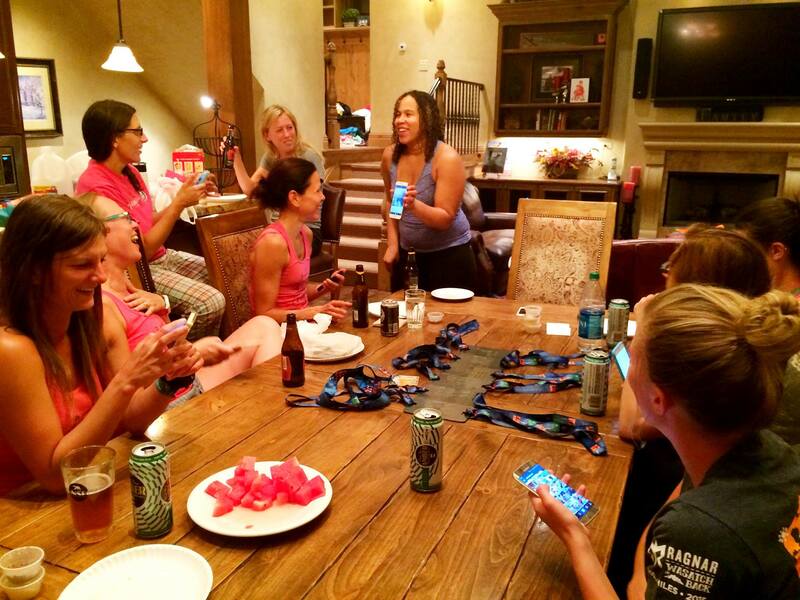 Everyone on the team is an inspiring badass runner. Sunday morning arrived all too quickly and it was time to head home with a backpack of stinky clothes and epic memories. 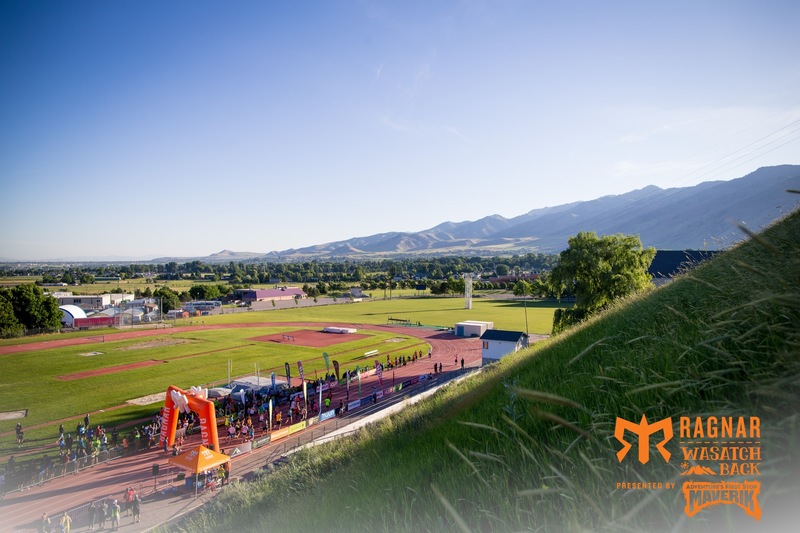 I hope I have the opportunity to return to Ragnar Wasatch Back in the future! 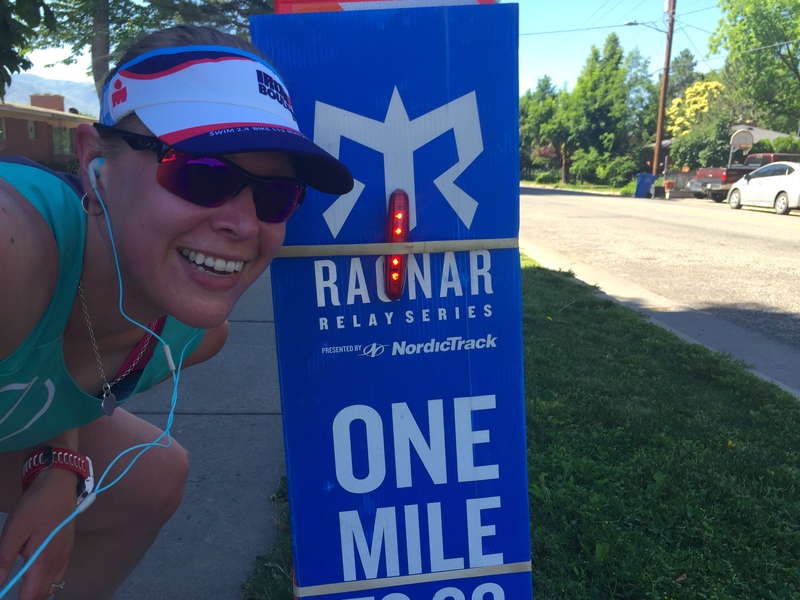 Have you run a Ragnar Relay before? 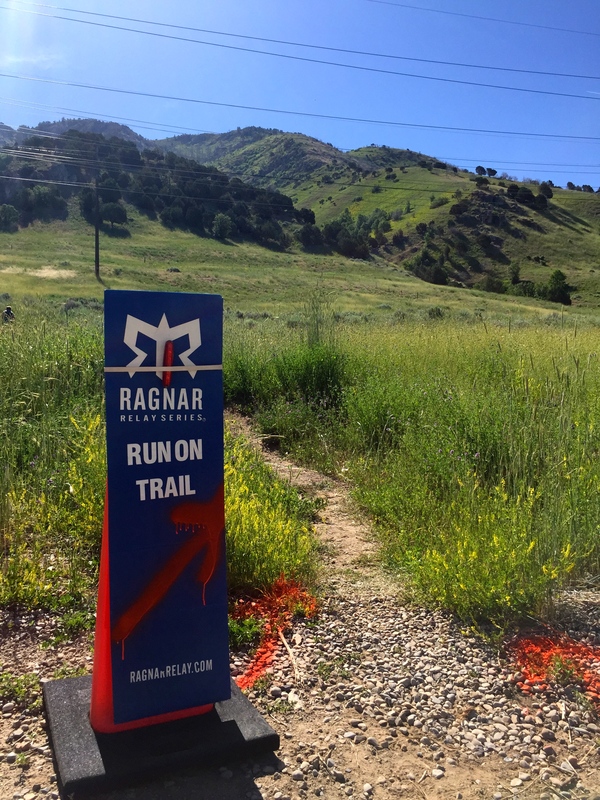 Looking for more from Bird Machine on Ragnar Wasatch Back? Check out my teammates’ recaps! 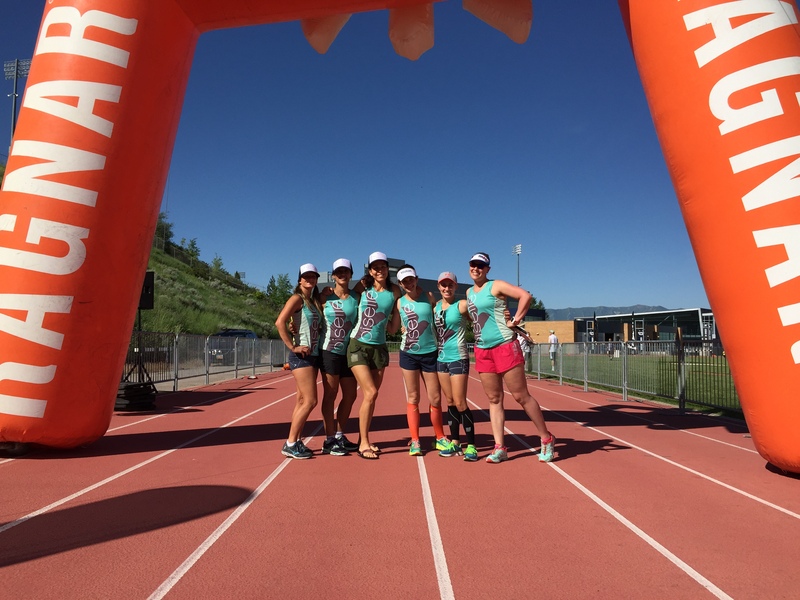 Ragnar Wasatch Back…here we go! So awesome! Looks like it was hot there. 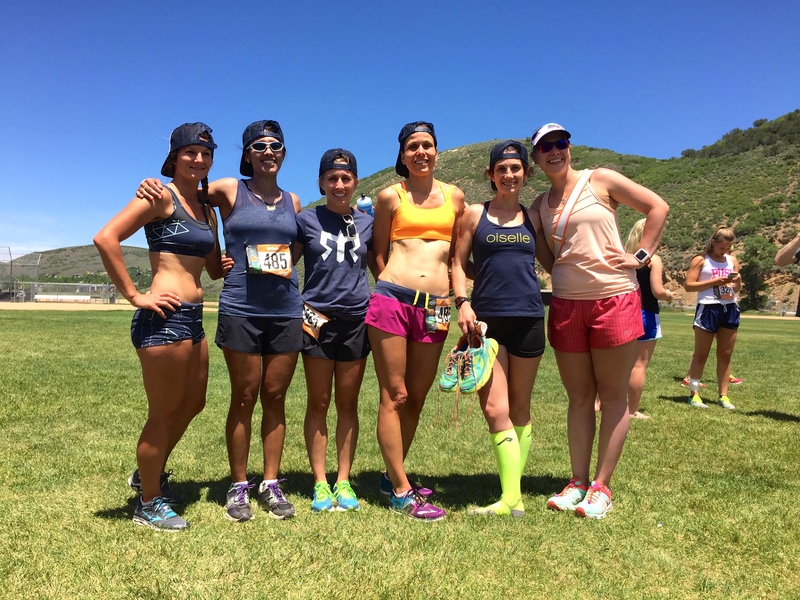 Was your teammate running in a bikini? That blows my mind. Congrats on your 3rd place finish, that’s so awesome!! I have not but I WANT TO SO BADLY! Your recap just solidified that desire. i ALMOST look like i have abs in the team pic! Nice! I am so proud of us, and SO GLAD i got to meet you! Till we meet again, i guess?? 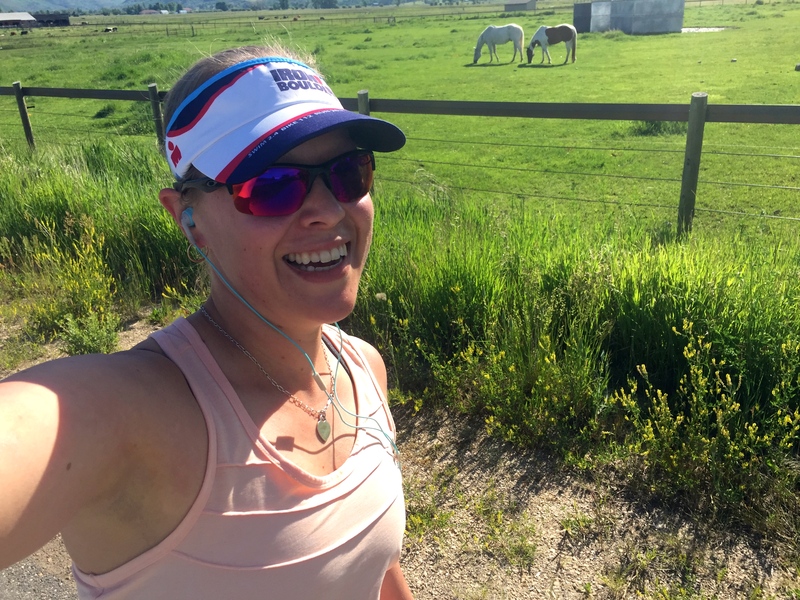 Emily Nickles recently posted…A rough 10, but still. 10. Love the recap! I had a blast with everyone and agree the condo was the best idea ever. It was so great to stay together on the night after. Great job rocking your legs this weekend! It was a tough course and hard conditions! Awesome job!!! 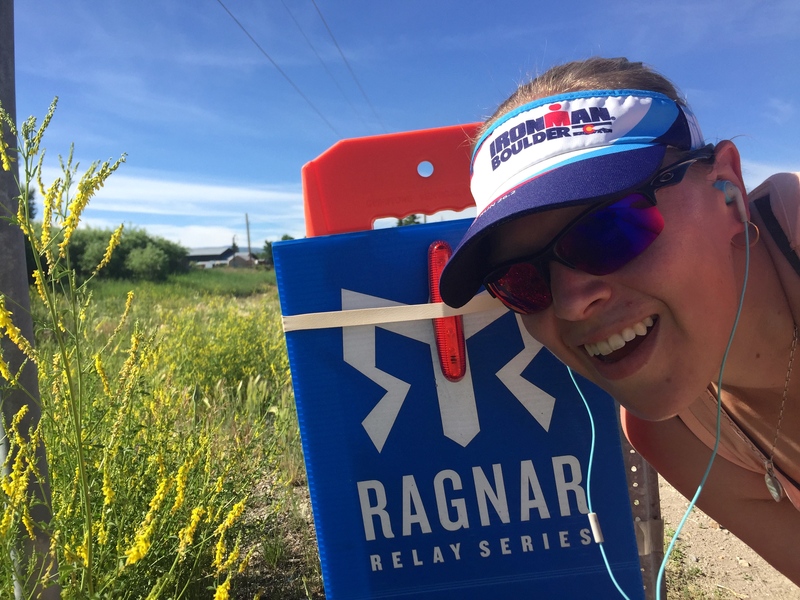 I would love to run a Ragnar but, having Crohn’s disease, the no-bathroom situation makes me a bit nervous! Maybe someday though!!! Way to go team Bird Machine! Awesome pictures and very concise recap!! It was such a pleasure to have you as our van captain. Thank you for being so thoughtful and so responsible. I’m hoping our paths get to cross again!